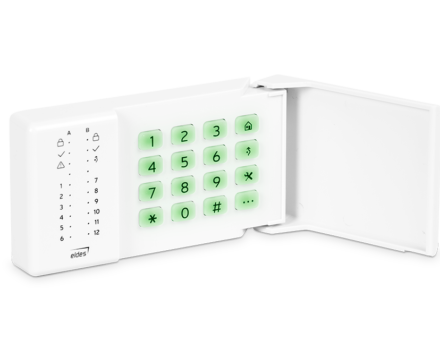 Battery-powered and compact keypad gives you the flexibility to install the product in any room or premise. Modern design and user-friendly interface meets any customer needs. The installation of EWKB4 is extremely easy. Remove the plastic tabs from the batteries and add the device to security system with one click using Eldes Utility. Mount EWKB4 to the wall with 4 screws or a duct tape. EWKB4 has additional wired zone which enables the connection of third-party detectors. This is a perfect solution for the lower cost installations. Multiple LED indicators provide exact information about different partitions, including system’s status and faults. 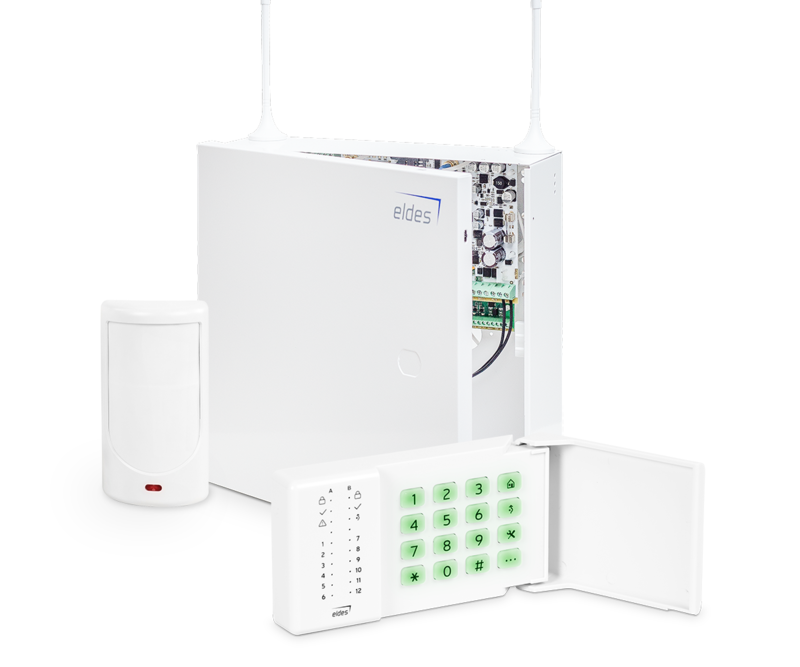 Innovative Eldes wireless technology enables users to reach an impressive up to 3 km range in open areas. Thick walls and multiple-store properties are no longer an obstacle. You won’t need to change the batteries every few months – EWKB4 contains 3x batteries with up to 5-year battery life. 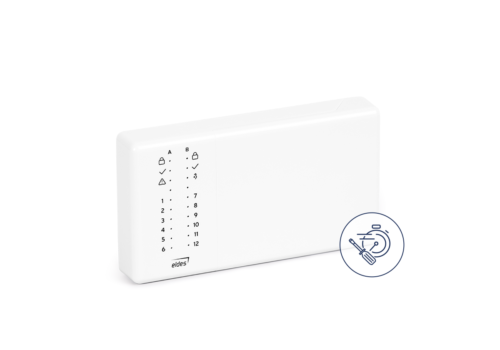 EWKB4 is an extremely reliable and modern keypad which fits well in any type of interior. Soft push-buttons ensure a comfortable everyday usage. No matter you are coming home late or early, the LED backlight allows to use the keypad in any day time. You will love a built-in temperature sensor for monitoring a temperature of home, garage and other places. Open EWKB4 enclosure in order to cause tamper violation. Press and hold the key . Wait until indicator lights off followed by flashing indicator . Release key and wait until indicator lights off.